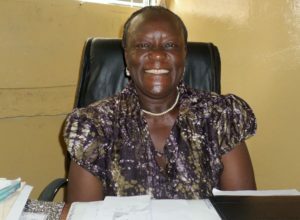 Saint Paul DMin Alumna, Dr. Yatta Young, believes that expanding access to theological resources in remote locations enhances teaching and learning. She was the first person to to launch the E-Reader Project under the African Association of United Methodist Theological Institutions in 2013. Dr. Young is the dean of the Graduate School of Theology at United Methodist University (UMU) that began classes August 2015. This summer (2017) the United Methodist General Board of Higher Education and Ministry, Discipleship Ministries, and the African Association of United Methodist Theological Institutions (AAUMTI) led an e-reader training in the area. Students and faculty from the Graduate School of Theology, United Methodist University (UMU) in Monrovia, Liberia attended. Dr. Yatta Young shared her experience with the project at the training. She highlighted the importance of books and partners who have helped provide theological texts to Liberia. Through the E-Reader Project, students now have access to an electronic library with hundreds of publications. Many of the textbooks and books are written by Africans. “We have a good champion and advocate for this program in Dr. Yatta Young. She inspired the whole group with her praise for reading and education,” said Robin Pippin, director of Contextual Resource Development and Distribution, Discipleship Resources International (DRI). To learn more about the E-Reader Project, visit umcereader.org.